You will receive information about how to prepare your child for the operation in your admission letter. The surgeon will explain the operation in more detail, discuss any worries you may have and ask you to give permission for the surgery by signing a consent form. An anaesthetist will also visit you to explain the procedure. If your child has any medical problems, particularly allergies, please tell the doctors about these. Please also bring any medication your child is currently using. The operation takes approximately two hours and is carried out under a general anaesthetic. Your child will need to have some hair shaved off for the operation, which will be done once they are asleep. 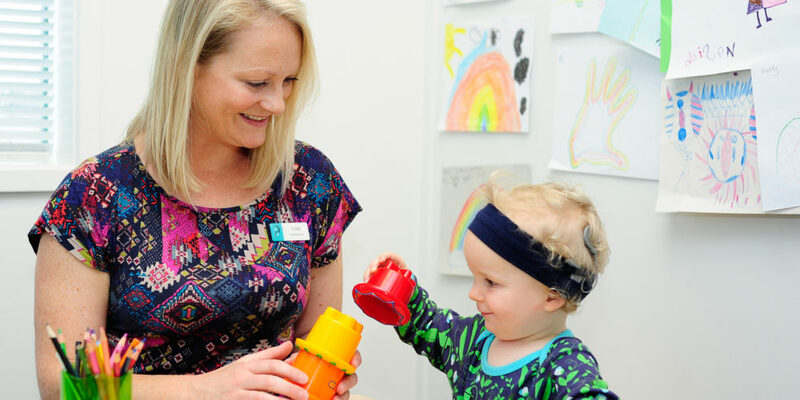 Once the cochlear implant has been inserted, staff will perform some initial testing while your child is still in the operating theatre. This testing confirms that the electrodes are working. Every operation carries some risk of bleeding and infection. However, the risk is low level and your child will be given an antibiotic injection during the operation to reduce the risk of infection. Immediately after the procedure some children may feel nauseous. They may have a headache or sore throat. These side effects do not usually last long and are not severe. Your child may also feel dizzy after the operation due to the balance mechanisms of the ear being disturbed during surgery, but this will get better. There is also a chance that your child could have ringing in the ears for a while after the operation. Again, this is temporary and will improve in time. Children are generally admitted the day before surgery, or the day of surgery itself. Children with a more involved medical history (e.g. diabetic, on autoimmune therapies, etc.) may be admitted a few days prior to the scheduled surgery date. After the operation, your child will return to the ward to wake up fully from the anaesthetic. Your child will have a large pressure bandage around their head. Once they feel comfortable and have had a drink, they will be able to get up and play. An overnight stay in hospital after the procedure is usually required. The day after surgery, your child will have the bandage removed and an x-ray will be taken to document the position of the electrode. They should be able to leave hospital once this has been done. Recovery rates vary but most people report feeling well 24 to 48 hours after surgery. Once released from hospital, children are usually back in their regular routines within a week. You will be given antibiotics for your child. It is important that the full course is taken according to the instructions on the label. You should give your child pain relief medicines such as Paracetamol or Nurofen on the advice of your surgeon. There may be swelling around the area after the operation, which may take a few weeks to resolve. Your child may experience some bloody discharge from the ear for several days. You should take care to minimise any potential chance of a head injury. They may need to be off school for a period and avoid sports activities. You will need to take care during hair washing, bathing and showering to avoid water getting into the area. Swimming should be avoided until after the first outpatient visit. Can children hear when they wake up after surgery?